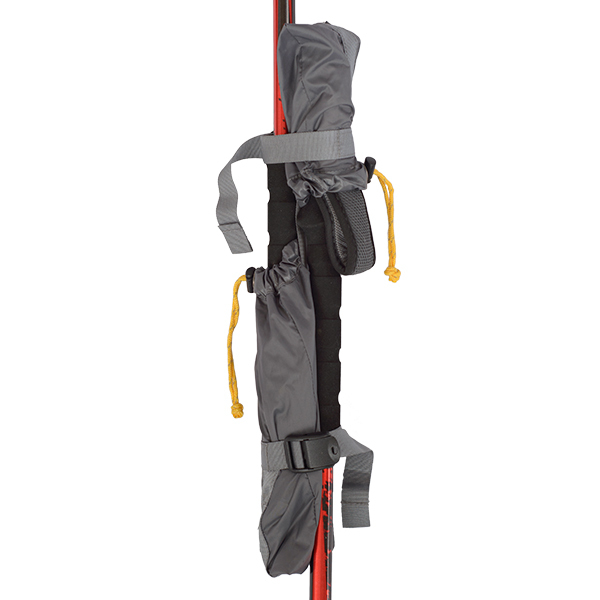 The Pole Union™ is a trekking pole connector. Once joined together securely the poles can hold up a shelter. 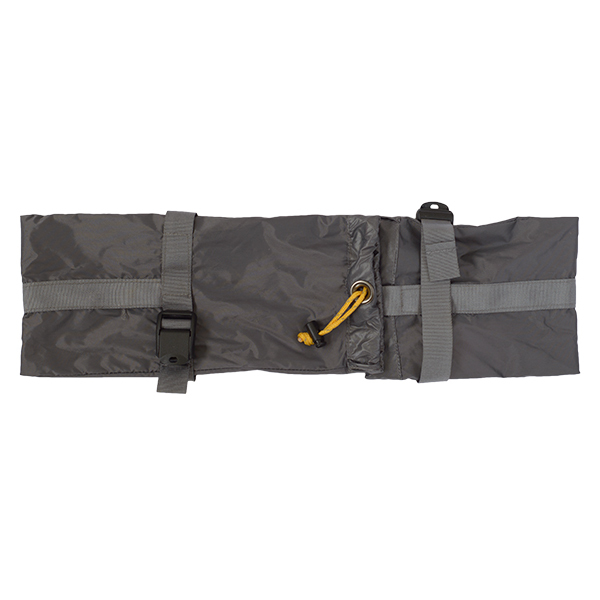 The Pole Union™ has two pockets, which take the handles of the poles. The length of the poles can then be adjusted as required to support the shelter. This system means that no separate tent pole needs to be carried, and that the shelter can be pitched taller than a single pole, giving much more living space inside. 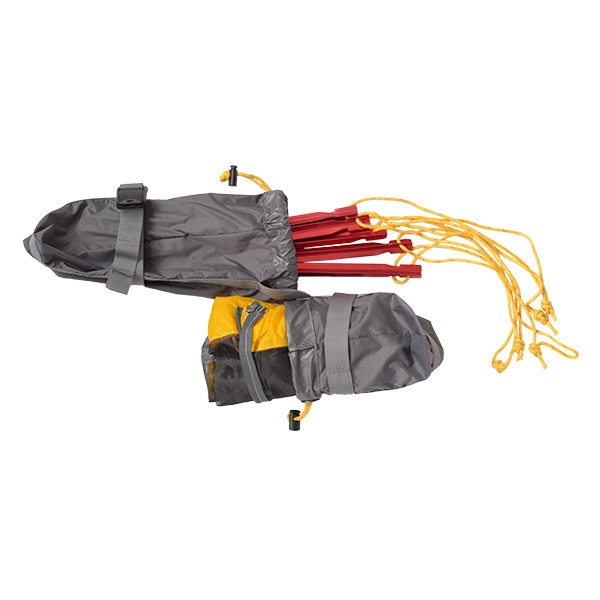 The Pole Union is also designed to function as a peg bag, using the larger pocket. The smaller pocket can be used to store the optional Insect Ceiling™.